Capacity of carbon sequestration in forest ecosystem largely depends on the trend of net primary production (NPP) and the length of ecosystem carbon residence time. Retrieving spatial patterns of ecosystem carbon residence time is important and necessary for accurately predicting regional carbon cycles in the future. In this study, a data-model fusion method that combined a process-based regional carbon model (TECO-R) with various ground-based ecosystem observations (NPP, biomass, and soil organic carbon) and auxiliary data sets (NDVI, meteorological data, and maps of vegetation and soil texture) was applied to estimate spatial patterns of ecosystem carbon residence time in Chinese forests at steady state. In the data-model fusion, the genetic algorithm was used to estimate the optimal model parameters related with the ecosystem carbon residence time by minimizing total deviation between modeled and observed values. The results indicated that data-model fusion technology could effectively retrieve model parameters and simulate carbon cycling processes for Chinese forest ecosystems. The estimated carbon residence times were highly heterogenous over China, with most of regions having values between 24 and 70 years. The deciduous needleleaf forest and the evergreen needleleaf forest had the highest averaged carbon residence times (73.8 and 71.3 years, respectively), the mixed forest and the deciduous broadleaf forest had moderate values (38.1 and 37.3 years, respectively), and the evergreen broadleaf forest had the lowest value (31.7 years). 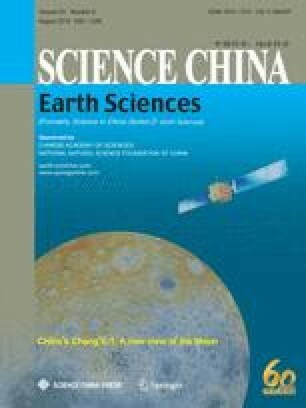 The averaged carbon residence time of forest ecosystems in China was 57.8 years.